Welcome to Rockford Sports News. This is a non-profit project with the purpose of promoting local Rockford area sports teams, sports clubs and athletes. Please send us links to local sports teams and clubs blogs and web sites. Let us know if you would like to be a regular contributor to the blog too! Facebook! 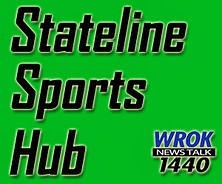 We're on Facebook at: http://www.facebook.com/pages/Rockford-Sports-News/371499686199879. Twitter! You'll also find us on Twitter at @RockfordSports. And check out our sister publication, http://www.winnebagocountynews.org, where you will find sports news and local business and political news. Original material is Copyright 2013 ® Paul Gorski. Links are provided to various local TV, Radio and Newspaper sources, and those links may take you to additional copyrighted material. The opinions expressed here may not be shared by the organizations listed, nor do the media outlets or organizations listed endorse the information posted here.